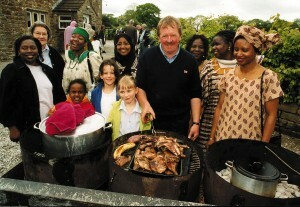 AWAD, African women’s group from Manchester, linking with hill farming communities in Lancashire. One of the longer term development strands contained in the Rural Cultural Strategy is the proposal for a programme of arts-led cultural diversity projects aimed at widening access to the countryside, farming life and rural cultural events for Black and Minority Ethnic groups, and introducing them to new cultural and business partnerships with rural communities. In this context there is also enormous scope for developing creative strategies combating racism in the countryside, working in long-term partnerships with BME communities, many of which come originally from traditional rural backgrounds. There is also a need to encourage greater awareness of cultural diversity issues in rural and farming communities, involving arts-based social inclusion work with young people, rural elders and Gypsy/Traveller communities. Incidences of rural racism, and social tensions related to the impact of second-home owners and the influx of migrant labour in rural areas should continue to be monitored. In this the proposed Rural Diversities programme is seeking to follow up on the pioneering work of the National Parks MOSAIC project, which is ambitious ongoing arts programme aimed at increasing BME access to the countryside, sponsored by the National Parks. Other successful urban/rural cultural initiatives have been run by the National Trust, the Commission for Rural Communities, FACE, and the Royal Agricultural Show/RASE. Finding new and creative ways of supporting the achievements made by these programmes through artists’ projects is one of the longer term aims contained in the Rural Cultural Strategy. The specific need to encourage greater awareness of cultural diversity issues within rural communities, and promote arts-led social inclusion with young people, rural elders and Gypsy/Traveller communities is being addressed by arts/media companies such as Bridging Arts, London, with the I Packed This Myself programme with rural migrant workers, and the Rural Media Company in Hereford in its work with Roma communities, and the Travellers’ Times magazine. Here to Stay; promoting new cultural partnerships for the future countryside. 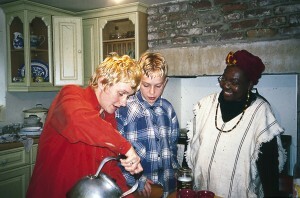 Whilst efforts to provide wider access to the countryside by cultural minorities and engage them in rural recreational and cultural activities are good in themselves, the RCF would like to go a step further, and build new sustainable cultural partnerships providing BME communities with a direct input into the Creative Rural Economy. Black and Asian families are increasingly living in rural villages, and in the farming community. 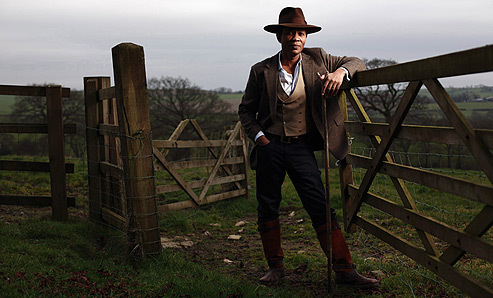 Whilst still relatively small, the numbers are set to grow, and in addition to The Black Farmer, who has established a high market profile for his product nationally, there are a number of farming enterprises now owned and managed by families from culturally diverse backgrounds. Rather than being considered exotics, these incomers should be welcomed into the fabric of rural life, and recognised as adding to the cultural richness and economic resilience of rural communities. One of the keys to sustainable living is the provision of safe food, and maintenance of food sovereignty. Many urban communities, environmental NGOs (e.g. Sustain) and urban farms are promoting healthy eating and sustainable urban farming. The CPULs (Continuous Production Urban Landscapes) project is a good example of this; and in New York recently artists, architects and farmers collaborated on the Public Farm 1 project, sponsored by the Museum of Modern Art and PSI Art Space in Brooklyn. Promoting rural cultural diversity also means supporting the social and cultural traditions of economically disadvantaged or marginalised rural communities, in particular hill farming and upland communities, and also the fishing port communities around our coasts, which are coping with the effects of decommissioning and the economic downturn. Both a Hill Farming Cultural Symposium and a Fishing Port Communities cultural investment programme are included in the rural cultural strategy. 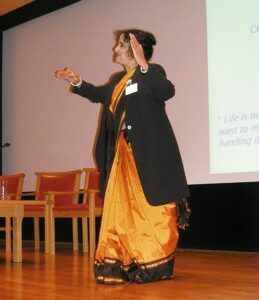 Dr. Geetha Upadhyaya, CEO Kala Sangam, presents a dance in honour of Mother Earth and the farmers of the world, Rural Cultural Summit Tate Britain. Promoting rural cultural diversity also means supporting the social and cultural traditions of economically disadvantaged communities, in particular hill farming and upland communities, and also the fishing port communities around our coasts, which are coping with the effects of decommissioning and the economic downturn. Both a Hill Farming Cultural Symposium and a Fishing Port Communities cultural investment programme should be included in the rural cultural programme.